Morgan James Publishing, 9781630476724, 130pp. Some leaders realize that having a diverse workforce can enhance creativity and innovation with the prospect of serving a global marketplace. Of course, to do this requires hiring and developing the top talent which is also sought after by the competition. How does an organization attract and retain that talent? How does the business become an employer of choice? And, when diverse employees come onboard, what makes them want to stay? Inclusion is where the rubber meets the road. If your employees do not feel included as valuable contributors to the organization, they will look for another place to work. 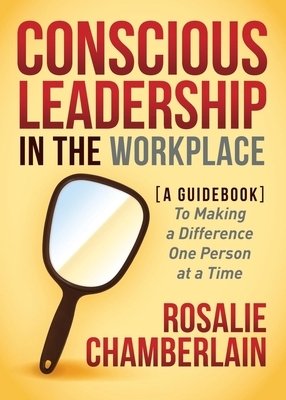 "Conscious Leadership in the Workplace" challenges you to think about, recognize, understand and feel how you think. It challenges you to examine how you lead and explore unconscious and conscious biases that are exhibited in your daily practices, behaviors, policies and procedures. Discover: * Who you are and what messages you are broadcasting. * What fear has to do with it. * Unconscious biases and their impact. * What triggers you. * How Either/Or thinking (Duality) stifles possibility. * How to leave the ego at the door. * How to stop the blame game. * How to claim your authentic power. "Conscious Leadership in the Workplace" is a guidebook that helps you explore how you can Make a Difference One Person at a Time. Take the diversity and inclusion discussion to the next level and make it happen by creating an inclusive environment where everyone has the opportunity to contribute and succeed. Conscious leadership begins with one single person. That person is you. Rosalie Chamberlain is a consultant, coach and speaker on diversity and inclusion strategy, multicultural competency, and leadership development, with expertise in helping leaders manage and leverage diverse talent. She coaches executives and high potential professionals.